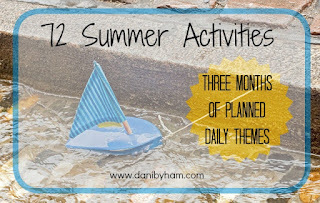 danibyham: It's Another Mom Season Summer Plan! Three weeks into my kids' summer break, I am finally getting familiar with the new paces and routines. Every day is different. Each week is new with camps or trips dotted throughout the calendar. So, I'm very casual. But I know that the hour is looming...the clock will soon strike...OH MY GOSH WE HAVE GOT TO DO SOMETHING BEFORE WE DRIVE EACH OTHER CRAZY! I'm not saying that the kids can't be bored sometimes. I don't mean that we have to constantly keep them entertained every blessed minute. But we can't really expect the kids to come up with the smartest ideas for filling a dozen hours on their own without some adult interaction. Their first pick is usually screen time. Then they attempt risky experiments or stunts suggested by their very own genius imaginations. Those sweet faces will also constantly demand to know, "What are we doing today???" And without some direction, the sibling harmony turns into terribly out-of-pitch cat screeching, when Mom doesn't have a surprise or two behind her back. It's time to make a plan. My son has already asked a few times when we were going to start our annual themed activity days, because he is so totally stoked that he doesn't have to do any school. I get it. I just haven't been on it yet, because we all just needed a break from schedules. Until now. If you haven't been following, my Mom Season friends and I come up with rotating weekday themes that give us the general framework for fun activity planning that has lots of flexibility. Allowing for our personal skillsets and resources, we can use this plan to tailor-fit our families' favorite things to do. We don't all love crafts, and we don't all join the swim team. But we all want to make lasting memories and enjoy our time with the kids, don't we? So this year, I compiled a free list of 72 activity ideas that I've either used in the past or plan to try this year. If you sign up, you'll receive a PDF to download in your email. The lists should get you through the next 12 weeks! How's that for a Make-Something-Monday AWESOME?!? Rest your weary brain, Momma, I've got you. 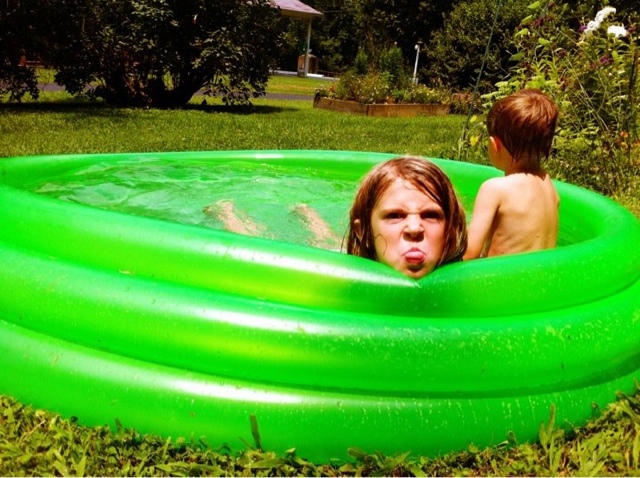 Share your own fun summer plans with us! Comment below or share on Facebook and Instagram.